Generally the shared wall between town homes should be a fire wall I believe with no breaches so I would advise against it. Many of today’s vanities keep the drawers short from the back of the cabinet. Have you looked at the vanity to see if it’s possible to just reroute the plumbing behind the drawers? You could check with your local building inspection office to see if you can disturb the shared wall but I would suspect you can't. Can the plumbing lines run through the cabinet but above or between the drawers ? Other option is shortening one drawer maybe ? Not sure what the 4x4 is ? If its structural then I would not drill through it ,if its just framing in the corner to catch all the drywall edges you can drill it for sure. I would use shark bites if you have the room to make them work. They need at least 1-1/2"" of pipe in order to slip on enough and be removable still. its up to you after that if you use pex pipe or copper. I agree, it is not likely that you can alter the shared wall. These are designed as a fire break, so that in the event of a fire, it can't easily get from one home to the next. This is done by not having any perforations in the walls, no pipes, no electric, nothing that creates a hole in the drywall. While you can't relocate the plumbing into the back wall, you can clean up how it enters the side of the cabinet and relocate it so that it won't interfere with the drawers. If you don't have a enough of space behind the drawers for the pipes to pass, you could shorten one drawer a few inches to gain the space you need. Alternatively, you could drop all the plumbing down into the toe-kick and bring it up through the bottom of the cabinet. I'm not a fan of PEX, I'd stick with copper, it's a little harder to work with, but you can route it exactly where you want. Sweating joints will take a whole lot less space than swapping to sharkbite fittings and PEX. I think it may be better if I don't touch the common wall. I am sure if it would be possible and according to the code they would have built it that way. I think that the 4x4 is there just to connect two walls together at the corner. The back (common) wall and one of the closet walls from which the plumbing comes out of. I think I could make the plumbing run above the second drawer but I would maybe prefer to run it behind the drawers as there I have 2 inches plus couple of extra if I could cut into the 4x4. If running the plumbing under the drawers how would I have to do that to make sure that the PVC trap line is at constant increased level to the sink from the main vertical line? Ok so the drain line will need to be moved lower in the main stack if you are lowering it from the position it is now. This is not always the easiest job if you do not have great access. If you have access below you can do this if you don’t then you may be stuck with the height you have now. Basically you t into the main stack or vertical drain line run a horizontal feed over to the area you need (1/4” of slope / foot of travel) connect a sweep 90 and then add a vertical pipe up into the cabinet to around 18” above the floor. There you add a 90 and the plumb your trap and sink into that. It all make sense, but that shared wall has wall light above the mirror installed. Would that mean that there may be a small space on my side where I could run water lines? I understand that beyond that there is a fire wall and some kind of empty space that works as a sound isolation, right? Could I open small part of that wall and see whats in it? Cutting the drawers little shorter would be my last option if everything else fails. I will attempt to first run the pipes behind the drawers. I like the idea of PEX as I never sweated a copper pipes and I am not sure if I can do a good enough job to leave the soldered joint inside the wall with water pressure in it, lol. Not sure why but the PEX feels more dooble to me. I can't quote specifics of code, other than to say that codes vary by city, county, state, and country. Yes, you could open the wall to see what's inside, but you would need to patch the drywall back when you're done. As long as the patch is behind the vanity cabinet, no worries, if you do it on an exposed portion of wall, then you will have to match the wall texture, if you have any, which can be a real pain to make it invisible. The only real issues when sweating copper is that the joints be clean, tight, and dry. If it is not clean, the solder will not stick. The use of flux will greatly aid the process, regardless of using a flux core solder (lead free, of course). Tight, copper fittings are slip fit, they are reasonably tight and the fit is symmetrical, meaning the "gap" is even all the way around. Solder works by capillary action, it does not fill gaps, If the fitting or pipe is mangled, it won't seal. And, lastly, there cannot be any water in the joining area, it will not allow the pipe to get hot enough nor the solder to flow evenly, resulting in leaks. Yes, the existing joints can be unsoldered, simply heat and separate the joints. Looking back at your first pics, I would pull the cabinet, open the wall down to the floor, and move all the pipe stubs under the cabinet. I would cut the pipes rather than trying to unsolder them and then use new copper pipe and fittings to relocate the stubs. If you went this route, you could easily substitute pex, because you will have space within the wall and under the cabinet for the pex fittings. With the pipes in their current location, I suspect that you will be very hard pressed to have enough room to use pex fittings and get the pipes in and around the drawers. I suppose I could access the main, vertical drain line from the little closet on the left by opening its back wall as the main, vertical line is just behind it. OK, my current vanity top sits at 30" above the floor but the new vanity I purchased is 36" above the floor so the question is, would that allow me to just instal a 90 degree drain connector into the horizontal party of the line which runs at 18" above the floor and then run the 1/4 line through the 4x4 stud behind the drawer at slight increase allaway to the sink's trap line? Does the horizontal drain line must remain at 18" above the floor? The drain line does not need to stay at 18", however, you cannot put hard 90 angles into it, you have to use sweep 90 elbows to ease flow of liquids and solids. So, relocating from it's current position to further back in the wall/cabinet is going to be tough. That is why I suggested dropping everything under the cabinet. Sweating the joints should be fine. Keep an eye on them over night if this is something you have not done before.Generally speaking if they are going to leak it should happen soon after pressurizing again. Push fit fittings (shark bites) are approved as permeant joints and I am not afraid of using them at all. Much easier then sweating pipe in tight areas . So to drop everything down under the cabinet, I would have to remove the horizontal part of the drain line, patch that spot on the main vertical drain line and than tee into the vertical drain line at lower part just above the floor, right? Of course the same thing would have to be done to the water lines? I would cut just above the drain arm tee and down at the floor where you want the new fitting to be. You probably won't be able to move the drain pipes in the wall, so you will glue the new tee and a new filler piece of pipe into the top of the tee that is maybe 1/4" shy of touching the existing pipe in the wall. You will then use a Fernco fitting (rubber coupling with hose clamps) for ABS to couple the patch piece into the existing pipe. You then install the drain arm into the side of the tee over to where it will pop up under the cabinet and install a sweep 90 to come up into the cabinet. You'll install another vertical section of pipe. Again, all curved joints need to be sweeping, not a hard angle, including the tee. Keep in mind as you're running the new drain line where in the cabinet it will live because you will still need to plumb in a trap, so place the stand pipe accordingly. As far as the trap goes, I prefer threaded joint traps with a slip joint where it enters the stand pipe, this will be the easiest to install and it will be the most flexible in terms of installation options. With glued pipes, you've got one shot to get it right, which is tough, and then if you have issues down the road you'd have to cut the pipe to gain access to it. With threaded joints, you can disassemble as necessary. Sweating joints isn't all that tough. Avoid the temptation to over use solder, it's extremely easy to do. Flux both sides of the joint, heat with a torch and tap the tip of the solder to the opposite side of the pipe from where the torch is. When the pipe is hot enough, the solder will instantly melt and "flow", you will see a silver ring form around the joint. You only add enough solder until it is visible all the way around the joint. Any more than that can restrict the inside of the pipe or run down the outside, depending on how the joint is lapped. As far as how long to pressure test, 99% of the time a leak will show itself immediately. You will need to run water to purge the air out of the pipe to have an accurate test. To do this, get all your new pipes run and install the angle stops. With the water on, you can purge the air by opening the angle stops into a bucket. A quick note on angle stops, there are two kinds, compression fit and threaded. Compression fit simply clamp down around the pipe to create their seal, sounds great, until you have to change out the angle stop, then it becomes a nightmare. For this reason I exclusively use threaded angle stops. Because you are relocating the supply pipes under the cabinet, you could easily use shark bite fittings and either pex or copper to reroute the lines. Shark bite fittings are expensive, but they are easier to use if you have any trepidation about sweating copper. If you choose to use copper and solder, relocating the supplies will be done exactly as the drain line was done, cut just above the existing tee and down at the floor to remove the section, install the new tee at the bottom, new section of pipe up to the existing and use a sweated copper coupler to join the two. Key point here, you need a coupler that will completely slide down over the pipe so that you can close the two pipe ends together, then slip the coupler back up into place and solder it. Thank you Shannon for all your help. My next step will be just to remove the old vanity, open up the back wall drywall to see if I can run the plumbing around the back side of the 4x4 behind the back wall drywall . I would like to re-route everything to the back wall behind the vanity. And if I don't have to cut into the firewall I would prefer to do it that way. If not then I may proceed to route the plumbing behind the drawers as close to the back wall of the vanity cabinet as possible without cutting one of the drawers down. Running everything under the vanity is another option which I may consider its just sounds beyond my abilities. 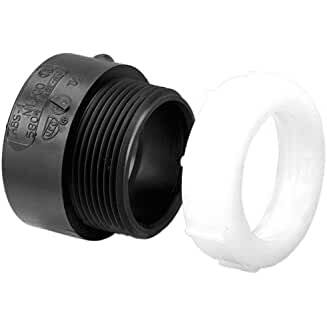 Sharkbite is the way to go I think especially as its way easier to get the going connecting Copper to Pex ( Any thoughts on using compression fittings, tee vs Sharkbite? I was always wondering about it?). Tomorrow I will purchase all necessary components and start this project and of course update you and other on the progress. This is not the end of my questions I am sure but I know that I can rely on you Shannon. Thanks again. I really appreciate that. Thank you Spruce for all your help and wards of wisdom. When I buy all of the components, open up the back wall take few pics of the setup, I will come back to this topic to get few more answers. I really appreciate your help. Thanks Spruce. Get the cabinet out of the way and open the wall up to see the plumbing well and from there you should be able to figure out a plan based on the various options we have described here. We are always here for more questions . I personally have been using the push fit style valves (mini ball valve style) for a couple years now pretty much exclusively The one thing about them is to get used to the fact that they can rotate on the end of the pipe unlike compression or threaded on fitting that stay put once installed. Oh, good point, ball valve angle stops are a must. Just one more thing. This is the vanity i got to replace the old one. It has very heavy granite top that measures exactly 60" one of the reasons I got this as the space between both walls where the vanity will go is 60". Also, I would rather not cut the drawers as they have a very unusual track system and I wouldn't wanna mess with that. I made some measurements and looks like if I can lower the plumbin down to anywhere from 13.5" to 17" inches above the floor I could run everything just above the first drawer at the back wall of the cabinet. There is little more than 3' between top of the first drawer and the bottom of the second drawer. Shortening a drawer doesn't mean altering the tracks, it simply gets the drawer box out of the way for more pipe room. You would still have to work around the track system. Regardless, if you've got enough space between the drawers to run all the plumbing, then do that, otherwise under the cabinet will be the easiest route. If you can run it between the drawers that will likely involve the east amount of work for you. Everything can run under the cabinet and stub up through the floor. With the supply lines, you can run them as high as you want before installing the anglestops. With the drain, you'd put a stand pipe up to whatever height you want with an elbow at the top. You'd install a slip joint fitting for your trap to attach to. Hi. So I was able to start the project by first removing the very large mirror 58x42 off the wall. When I got the small medicine mirror cabinet out of the side wall I was able take few pics of the setup inside the plumbing wall. It looks like my sink's drain pipe is connected to a vent pipe. But the fact that what supposed to be a 4x4 possibly a structural beam are actually a two 4x2 studs that are 2 inches apart in the corner of the back and the side-plumbing wall. Could I just run the plumbing between the two studs instead? There is marking on the Party Wall drywall "TYPE X" . Does that mean anything? Another question; Is the fact that there is a electric light installed inside the Party Wall mean that the code may allow the plumbing to be ran there as well? I am also planning to create an access to the plumbing connectors from behind where the closet is in case any leaks develop. Good idea? Through the floor, you mean on top of the floor? I currently have tile on the floor and wouldn't want to dig in through the floor to hide the pipes under the tile. Would running everything on top of the floor be acceptable? We're talking about exiting the wall under the cabinet, between the house floor and the floor inside the cabinet. Extend the plumbing to where you want it located within the cabinet, then turn it vertical and come up through the cabinet floor. Personally, I like to keep these things as far back in the cabinet as possible so that you don't take up valuable storage space. I don't know the specific codes on party walls, so I cannot advise whether or not you can put plumbing in them. If I'm reading your pix correctly, there is a cavity between the party wall and the bathroom wall, there is no reason you can't run pipe in there, as you're not actually messing with the party wall. "Type X" drywall is fire rated, which is to say that it's at least 5/8" thick, the party wall is probably a double layer for added burn through protection. So I removed the vanity and part of the drywall to get access to the plumbing. It looks pretty tight in there to even cut down the drain pipe. I may actually cut the horizontal drain pipe part and install a sweep to the right to re-route the drain pipe closer to the back wall. I also have a missing floor tiles under the sink cabinet and was wondering if I could just fill the gap with a piece of 3/4 plywood? I don't feel like laying tiles. You can fill in the missing tile with plywood if you want, but if it's expose under the front of the cabinet I would recommend popping those partial tiles out and installing new pieces, that won't be a big deal to do, much easier than redoing the entire floor. When you relocate the drain, it's important that you don't allow the horizontal portion to slope towards the sink. Whether you keep the drain in the cabinet or under it, you must maintain a positive drain angle towards the wall, otherwise you're inviting clogs and problems.